Let’s face it – it’s always been a little annoying for sports fans to find a dedicated way to get sports content from online streaming. It’s nonexistent on Netflix and there’s only a decent amount to be found on Hulu or other big platforms. The amount of content they offer for the price is not worth it. But I’m here to fill you in on a relatively new and great platform that is specifically tailored for die-hard sports fans: Dazn. 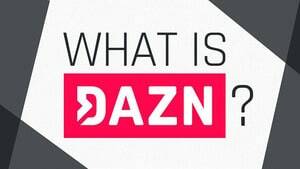 DAZN (pronounced “Da Zone”) is a streaming service that has been gradually launching in more and more countries over the past couple of years. They specialize in sports and only sports. This includes live games as well as on-demand streaming of an immense amount of categories. DAZN was initially only available in four countries in 2016: Japan, Germany, Austria, and Switzerland. This may explain its relative obscurity compared to other big streaming platforms. It was released in Canada back in 2017 and many people will be happy to know that as of 2018, DAZN has been made available to the United States of America. DAZN has a very robust collection of content. They have been a great source of Basketball, Soccer (including Fifa, La Liga, and UEFA), Tennis, PGA Golf, Combat sports (primarily Boxing and MMA fighting), Ice Hockey, Rugby, and Motorsport. They also have a bit of WWE wrestling and Volleyball. Most content available can be accessed in high definition. The majority of their streams and on-demand shows are available in 1080p. The only downside for American viewers is that because DAZN is so new, there is limited content available in this country. Most content that can be streamed is combat sports, particularly Boxing and Bellator MMA. There are also select Baseball and Soccer games. You can also use a VPN service to access the much bigger selection in Canada. 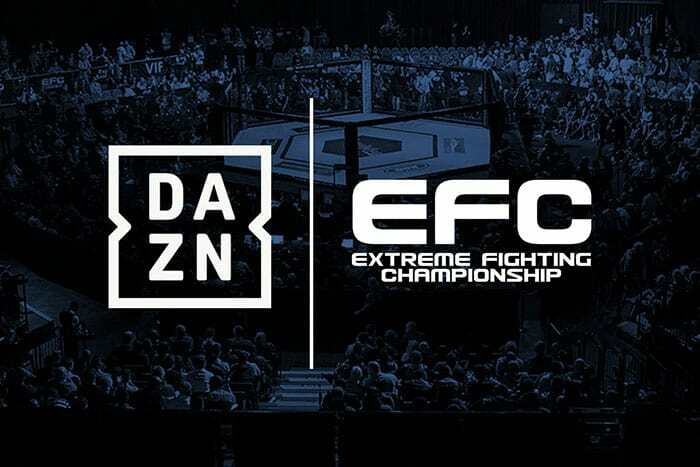 DAZN has expressed great interest in expanding their content for as many viewers as possible while they move forward. It would seem to be highly unlikely that they only continued to put out MMA and Boxing for American viewers considering how big other sports like Football, Tennis and Baseball are in the US. Considering that Canadian users already have NFL streaming, it’s only a matter of time before that comes to American users too. DAZN is also working on putting out their own original content to help set them apart from other sports channels or services. Talk shows and podcasts seem to be their main considerations right now. A very wise decision on this company’s part was to release their very own app. This application is supported by computers, smartphones, and other devices as well. Its primary function is to let you stream content, whether that be live games or on-demand shows. It also allows you to view a schedule of upcoming matches. Checking to see what’s coming next is as simple and anyone can navigate through the app without any trouble. The interface itself is simple but easy to use. Jumping right into an ongoing game is as easy as tapping the image and letting your wi-fi do the rest. This app is just the first of many ways in which this streaming company is taking their role in this market very seriously. Even though they’ve only been out for a couple of years, they are constantly making steps in the right direction, including their free and handy app. One of my favorite things about DAZN, in general, is how universal their platform is. With big help from their app, DAZN is compatible with a huge list of devices. The app will work on just about any computer or laptop, smart TV, Android and iOS devices and even some gaming consoles. The DAZN app and streaming service is currently available for: Android TV boxes, Apple TV, PlayStation 3 and 4, Xbox One, Amazon Fire TV and Fire TV Stick, Chromecast, Roku TV and a wide variety of smart TVs manufactured by Samsung, Panasonic, and LG. Apple iPhones, iPads and iPod Touch’s will also support it. Since DAZN is supported by so many different platforms it would be quite difficult in this day and age to be a sports fan who doesn’t have at least one of the items on this list. You yourself probably have at least one of these many devices, if not multiple in your home. That is all the more reason to consider giving this streaming service some serious consideration. 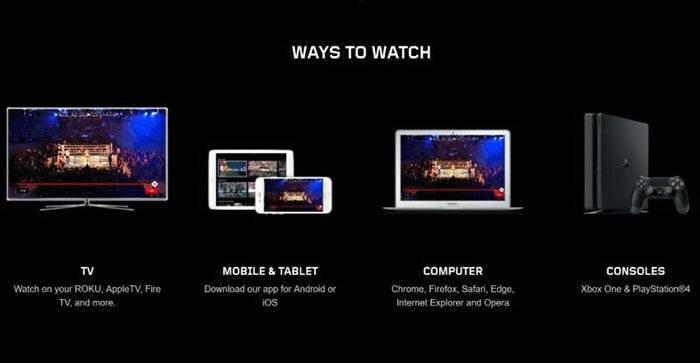 As I mentioned earlier, the most you’ll currently be able to get out of DAZN if you live in the United States will be Boxing and Bellator fighting. As a result of this, DAZN has been pushing very hard to grab as many American viewers onto their platform with just Boxing and MMA alone. The previous year ended with arguably one of the biggest Boxing matches of 2018. 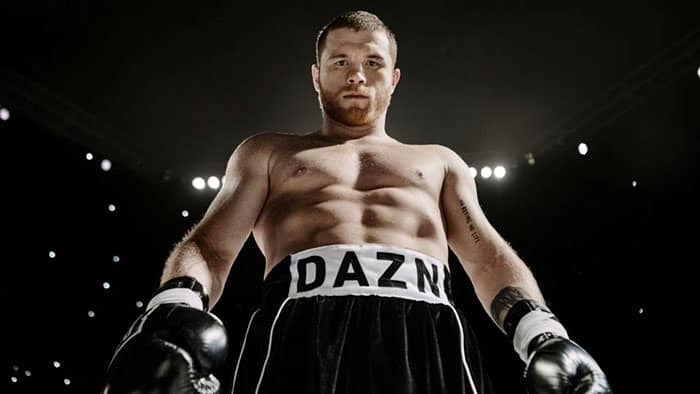 Canelo Alvarez signed a deal with DAZN to exclusively host his matches on their platform for five years. He faced off against Rocky Fielding on December 15, 2018, and the entire match was only available on DAZN’s streaming network. 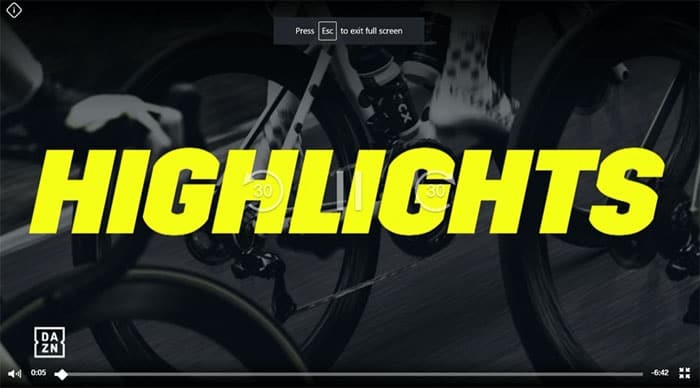 This is just the first big example of how DAZN is striving hard to secure exclusive premium content to set their name apart from other sports centers. The streaming service has already hosted top tier matches over the past month in both Boxing and Bellator MMA. The Fedor Emelianenko vs. Ryan Bader MMA match of January 26 was hosted live, as well as the Alberto Machado vs. Andrew Cancio Boxing fight on February 9. And on March 9, DAZN will host the upcoming Dmitry Bivol vs. Joe Smith Jr. If you live in the United States and are concerned that paying a monthly fee for primarily just combat sports is too much then you don’t need to fret. DAZN offers a free one month trial so that you can test out their service. If you sign up strategically at the right time then you can get free access to any exclusive content they have. Even if you have no plans to currently subscribe to their service, I would still recommend that you take advantage of this free offer. Using it for 30 days can give you a sense of what the user interface is like as well as get some free sporting content. I would bet that DAZN is aware that right now their choice of content for American viewers is limited. As big as MMA fighting has become, Americans will always be in love with football, baseball, and basketball. Until the NFL and the NBA arrive to this service then my suggestion would be to treat this free trial as an appetizer of sorts. Check out the live shows and some of the on-demand content too. Then after more time has passed when DAZN inevitably gets more content on their platform, you might be more willing to take the plunge into this exciting new world of sports streaming. Certainly, over the next few years, their arsenal with get bigger and bigger. If you don’t even need any of the hard pitches because you’re such a Boxing or Bellator MMA fan and just want to sign up now, then here’s the deal. Like many other streaming services, DAZN operates on a monthly payment basis. They have two payment plans. The first is a one month deal for $9.99 USD. The second is a one-year subscription that costs $109.99. This latter plan actually comes with an extra month added for free so it’s really 13 months instead of 12. As already suggested, the free trial is the best place to begin. It comes automatically with either payment plan so you won’t have to worry if you want to cancel within the first free-of-charge 30 day period. Your payment won’t be due until the day your free trial expires, so no money leaves your account until the free month is over. If you want to cancel your subscription before the last day, you will not be charged anything even though you watched exclusive content all month. If you’re concerned that $9.99 is too much for only Combat sports then you are not alone. DAZN is well aware of the limited content they currently feature in the United States. Luckily, all we have to do is look at Canada’s content to see what the future holds. Since the US’ neighbor already has sports rights to Soccer, Football, Ice Hockey, Basketball and Tennis, it’s only a matter of time before they all come to DAZN’s American users. If you just happen to love Boxing and MMA already enough to go for a streaming subscription, you may already be very attracted to this price point. Many pay per view fights of big MMA matches can cost anywhere from $50 to $100. Being able to pay just $110 a year to get tons of matches, both big and small, is an incredible feat for combat sports alone. This deal is only sweetened if you love other sports and are willing to wait for their arrival. Ultimately one of the biggest benefits of DAZN is one that other streaming companies like Netflix have. The price you pay for the quality and amount of content you receive is astounding. This is without a doubt a great way to leave behind the comparatively expensive world of cable and still keep in touch with big games as they come out. And with the price of pay per view matches these days, it makes enough sense to sign up even to watch only one fight go down. This article isn’t necessarily a recommendation to go out and subscribe to DAZN right now. Think of it more as a public service announcement. For too long there has been a drought of high-quality platforms that concentrate on nothing but sports. DAZN looks to be the best solution to this problem so far, and I find their prospects to be very promising. If you live in Canada or Germany then I would definitely say to give this service a go. Both countries already have a great library of on-demand content and are streaming new matches in a variety of sports. If you are American and love sports but aren’t crazy about Boxing or MMA, then my suggestion would be to keep DAZN on your radar. It’s only a matter of time before this company truly begins to expand into the American sports fan base. It’s probably inevitable that they acquire NFL, MBL, and NBA streams for the United States. We may even see them getting NFL, MLB, and NBA sooner than we expected. When that happens, this streaming platform will have the potential to turn into the giant that they want to be. And nobody wants to miss out on that. Overall, DAZN is a great and reliable source that has shown they have what it takes to secure great exclusive content as well as the mainstream sporting events that everyone loves—at least in some regions thus far. Combined with their promises for original talk shows and bringing more sporting categories to American audiences, this is absolutely a streaming service to keep your eyes on in the coming months and years. They’ve only been out in the US for a few months and they’re just getting started with seemingly much more on the horizon. Previous Post Best Gamepad for Android TV Box 2019 Next Post The Formuler Z8 – Best IPTV Box Ever Made?